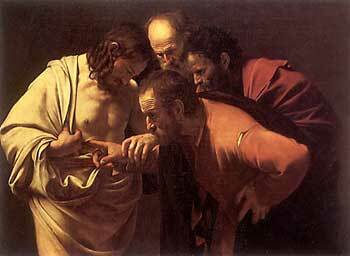 Many Catholics forget that Christ in glory bears the wounds of His Passion. Are these merely a proof of His Passion and Resurrection? Are these the physical medals of spiritual warfare? 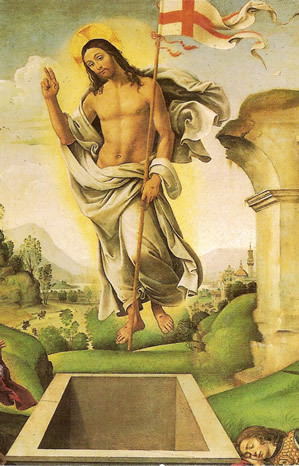 Are these the signs of Christ's victory over Death? I think these are the wounds of love. When one loves another person, one allows oneself to become open and vulnerable. The only way to truly love is through sacrifice and dying to self. Most of these wounds of love are invisible. Married couples go through times of unrequited love, even in their covenant state. The ebb and flow of emotions and the moving of romantic love into love of the will require heroic decisions in times of dryness. These times cause wounds, like the wounds one may feel when one loves someone who does not return that love. The saints who had the stigmata loved Christ so much they shared in His Passion. The stigmata for some was invisible. Some people today bear invisible wounds of love. Christ has loved all humans, each person ever created. Not all return His Love. Yet, He loves. His Passion is the absorption of rejection. Perfect Love is daily rejected. But, like the patient and long-suffering lover who continues to love despite hurt and rejection, Christ loves each one of us forever. Perfect Love wears the wounds of love. Everything is his gift. If we can realise that everything is God’s gift, how happy will our hearts be! Everything is his gift. He is our strength! Saying “thank you” is such an easy thing, and yet so hard! How often do we say “thank you” to one another in our families? These are essential words for our life in common. “Excuse me”, “sorry”, “thank you”. If families can say these three things, they will be fine. “Excuse me”, “sorry”, “thank you”. – my protector, my sign of salvation. Ze’ev Raban [1890-1970] was a leading exponent of the Bezalel school style in painting, sculpture and the decorative arts. He was born Wolf Rawicki in Poland. 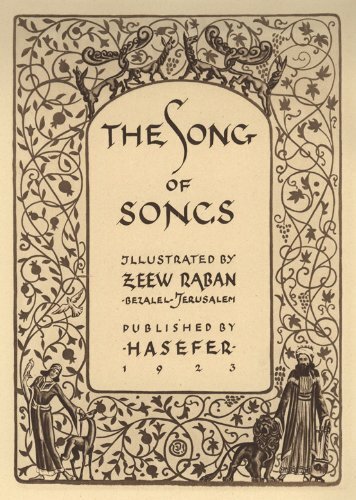 Under the influence of Boris Schatz, the founder of the Bezalel Academy, Raban moved to the land of Israel in 1912, and joined the facility of the academy. Raban designed the decorative elements of such important Jerusalem buildings as the King David Hotel, the Jerusalem YMCA, and Bikkur-Cholim Hospital. 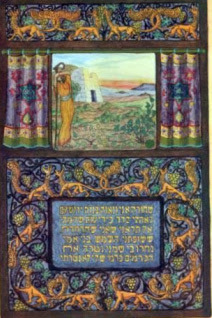 He also designed a wide range of day-to-day objects, including playing cards, commercial packaging, bank notes, tourism posters, jewelry, and insignia for Zionist institutions. Raban also designed a wide range of Jewish objects including menorahs, temple windows and Torah arks. Having discussions with a friend who does not believe in institutional religion provides an interesting background for the discussion of tolerance. St. Paul brought Christianity to Malta through a miracle, and right now, I think I need a miracle to help me. The spiritual person of the day may not be able to make the distinction between true and false religions. He may not be able to accept a group of people who claim to have The Truth. But, that is what the Catholic Church claims. We have the Fullness of Truth. To compromise or pretend this is not the case would be lying. The love affair with tolerance stops some people from taking that step into the Catholic Church. I would like to quote Venerable Fulton J. Sheen twice from one of his talks. First he notes this: There is no other subject on which the average mind is so much confused as the subject of tolerance and intolerance. Tolerance is always supposed to be desirable because it is taken to be synonymous with broadmindedness. Intolerance is always supposed to be undesirable, because it is taken to be synonymous with narrow-mindedness. This is not true, for tolerance and intolerance apply to two totally different things. Tolerance applies only to persons, but never to principles. Intolerance applies only to principles, but never to persons. We must be tolerant to persons because they are human; we must be intolerant about principles because they are divine. We must be tolerant to the erring, because ignorance may have led them astray; but we must be intolerant to the error, because Truth is not our making, but God's. And hence the Church in her history, due reparation made, has always welcomed the heretic back into the treasury of her souls, but never his heresy into the treasury of her wisdom. My friend is a wonderful, loving person, but she cannot understand or accept a religion which claims to have the Fullness of Truth. 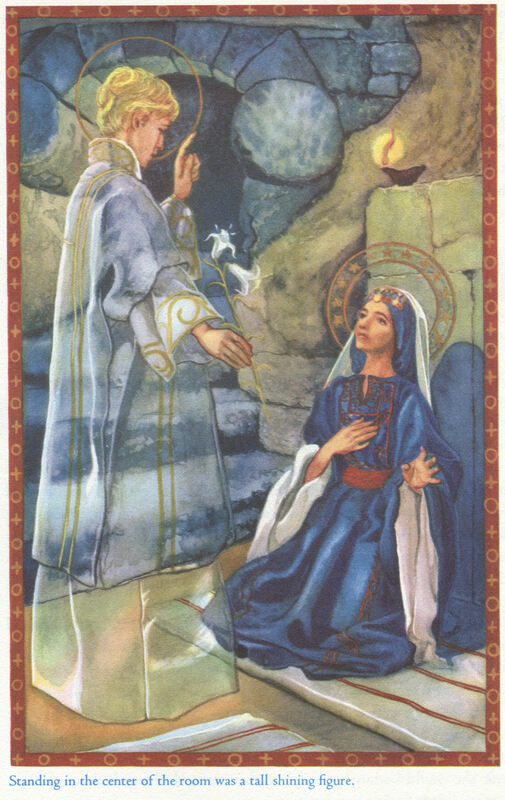 I can only agree with her great spiritual quest to find the Truth and listen to her profound understanding of human nature and the need for the purification of the soul. But, in the end, faith is a gift. So, pray for her. We Catholics take so much for granted. Those who have grown up with no philosophical framework or metaphysical perspective may be searching and may have may opportunities for grace. But, a time comes for decision. In the end, the dividing line is Christ Himself. Either one accepts Him as God and Man and Saviour, or one does not. One then must be open to accepting His Church as the place which He established on earth to help us with our salvation. Pray for a miracle, please. Today, I went to St. Paul's Bay where St. Paul traditionally was shipwrecked and came onto the island of Malta as reported in Acts. Here is a snippet from this website below. I went to the small church seen in the photo, which is supposedly the site of the bonfire where the snake bit St. Paul, but it was locked up. The same was true for the larger church. Sadly, that church was locked at well. I said a prayer on the porch. "And later we learned that the island was called Malta. and they made a fire and called us all to warm ourselves... "
As the fire was lit, Paul was bitten by a poisonous snake but he suffered no ill effects. The islanders took this as a sign that he was a special man. This scene is depicted in many religious works of art on the Islands. According to tradition, the Apostle took refuge in a cave, now known as St. Paul's Grotto in Rabat, Malta. During his winter stay, he was invited to the house of Publius, the Romans' chief man on the Islands. It was here, according to tradition, that Paul cured Publius' father of a serious fever. Publius is then said to have converted to Christianity and was made the first Bishop of Malta. The Cathedral of Mdina is said to stand on the site of Publius' house.